Grammy-nominated, award-winning composer, pianist, electronic musician, professor, and software developer Vijay Iyer is one of the most celebrated jazz musicians of his generation, credited with taking jazz improvisation and composition to entirely new levels. A bandleader as well as a constantly in-demand sideman, he has led several distinct combos including Spirit Complex, the Poisonous Prophets, and the Vijay Iyer Trio, who all appeared on Memorophilia, his 1995 debut album on Asian Improv, a collection fusing jazz forms with the rhythms of South Asian music. In addition to his abilities as a soloist and composer, Iyer has worked with dozens of acclaimed musicians including Butch Morris, William Parker, Wadada Leo Smith, and Roscoe Mitchell, and has worked frequently with alto saxophonist Steve Coleman in his groups the Mystic Rhythm Society, the Secret Doctrine, and the Five Elements. He has led bands from trios and quartets to quintets and sextets, and has recorded solo as well. 2003's Blood Sutra was hailed as a perfect fusion of Indian Carnatic styles, post-bop, and modal jazz. His 2009 offering, Historicity, was nominated for a Grammy in the Best Instrumental Jazz Album category and topped many critics' lists. 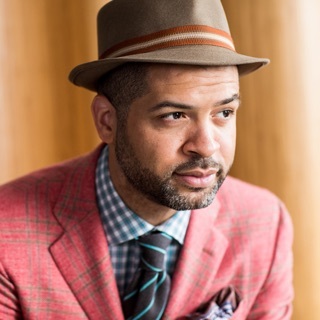 He won a Doris Duke Performing Artist Fellowship in 2012 as well as Downbeat's Poll as Jazz Artist of the Year, Pianist of the Year, Jazz Album of the Year, Jazz Group of the Year, and Rising Star Composer, and the "quadruple crown" in the JazzTimes, with critics celebrating the achievement of his Accelerando album. He became a MacArthur Fellow in 2013, and in 2014 was appointed as the Franklin D. and Florence Rosenblatt Professor of the Arts in the Department of Music at Harvard University. 2015's Break Stuff was heralded as a striking, boundary-breaking achievement in 2015, and Transitory Poems, his 2019 collaborative offering with Craig Taborn, was hailed by critics as a definitive and necessary statement from two of the world's finest and most provocative jazz pianists. Iyer was born in Albany and raised in Fairport, New York. The son of Indian Tamil immigrants to the United States, he began studying violin at age three and received 15 years of training. As a child, he began playing piano by ear. In college he received undergraduate degrees in mathematics and physics at Yale, then attended the University of California, Berkeley to earn a doctorate in physics. But he continued to pursue music, playing in various ensembles, and in 1994 he began working with Coleman and composer, improviser, trombonist, and electronicist George Lewis. In 1995, while pursuing a doctorate in musical cognition, he issued Memorophilia, which included participation from Coleman and Lewis, as well as guitarist Liberty Ellman in a variety of musical settings. He played shows in the Bay Area, and toured with Coleman and others, cutting his sophomore outing Architextures with an octet in 1998. 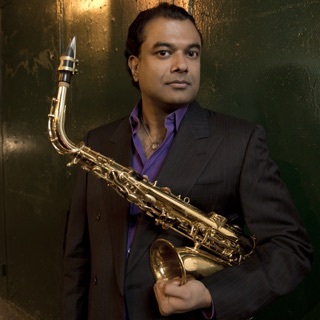 By the time of Panoptic Modes' release in late 2001, Iyer had a working quartet with alto saxophonist Rudresh Mahanthappa, bassist Stephan Crump, and drummer Derrek Phillips. Phillips gave way to Tyshawn Sorey, and the quartet released Blood Sutra in 2003. At the same time, Iyer was working with hip-hop's Mike Ladd on In What Language?, an examination of the often dehumanizing world of international travel in a post-9/11 world, also released in 2003. He continued working with Mahanthappa and Ladd, appearing on Mahanthappa's Mother Tongue in 2004 and Ladd's Negrophilia: The Album in 2005 before releasing his own Reimagining, also in 2005. He was back with Mahanthappa for 2006's Raw Materials and Ladd for 2007's Still Life with Commentator. Tragicomic appeared in 2008. During this same time period, Iyer was also composing for orchestra ("Interventions," 2007, with the American Composers Orchestra) and string quartet ("Mutations I-X," 2005, for the string quartet Ethel) as well as for theater (Betrothed, 2007) and film (Teza, 2008). He also performed regularly on piano and synth with Greg Tate's Burnt Sugar. Iyer's 2009 release, Historicity, was chosen as the number one Jazz Album of the Year by The New York Times, The Los Angeles Times, The Chicago Tribune, The Detroit Metro Times, National Public Radio, the Village Voice Jazz Critics Poll, and Down Beat's International Critics Poll, and was nominated for a 2010 Grammy for Best Instrumental Jazz Album (Iyer's first nomination and the first for an Indian-American in that category). The Vijay Iyer Trio (with Marcus Gilmore now in the drummer chair) won the 2010 Echo Award (Germany's Grammy equivalent) for Best International Ensemble, and the 2010 Down Beat Critics Poll for Best Small Ensemble. In 2010 he also released his first solo album (Solo) and was named 2010 Musician of the Year at the Jazz Journalists Association Jazz Awards. Iyer kicked off 2011 with a new band called Tirtha, a trio with electric guitarist Prasanna and virtuoso tabla player Nitin Mitta. The group released a self-titled album on ACT early in the year and toured globally in support of it; the album appeared on many jazz critics' year-end lists. Iyer's piano trio with Gilmore and Crump returned to recording later in the year; they released Accelerando in March of 2012. 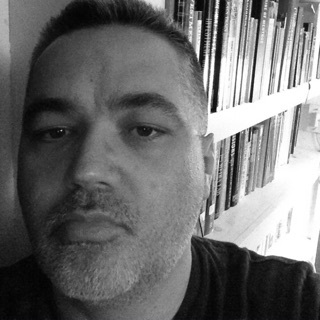 In 2013, he collaborated with poet/spoken word artist Mike Ladd on Holding It Down: The Veterans' Dreams Project, and won a MacArthur Foundation Genius grant. Mutations, his debut for ECM, was released in March of 2014. Iyer had also been working with filmmaker Prashant Bhargava, composing and performing a score for a multimedia project focused on the eight-day Holi festival in Northern India. ECM released Radhe Radhe: Rites of Holi as a DVD in the fall. They reentered the studio in June and put a new album in the can. Break Stuff, the result of those sessions, was released in February of 2015. Iyer was named 2015-2016 Artist in Residence at New York City's Metropolitan Museum of Art and released A Cosmic Rhythm with Each Stroke, his third album for ECM, in duo with Wadada Leo Smith in March of 2016. The following year, he delivered the sextet date Far from Over, which featured cornetist Graham Haynes, saxophonist Steve Lehman, drummer Tyshawn Sorey, and others. In 2018, Iyer was again selected as Down Beat's Jazz Artist of the year.